You want to reduce your waste and you make the effort to bring your own containers and bags for refilling. Maybe you want to know that the places you shop at are doing all they can to avoid waste too. Wasteless Pantry is assisting the wider community to reduce the amount of waste that is generated, increase the proportion of materials recovered that would otherwise end up in the waste stream as well as reducing the amount of waste going to landfill. It actively communicates messages for behaviour change and promotes their adoption through a wide range of initiatives aimed at mainstream consumers. At its simplest, Wasteless Pantry is a zero waste and bulk food store. 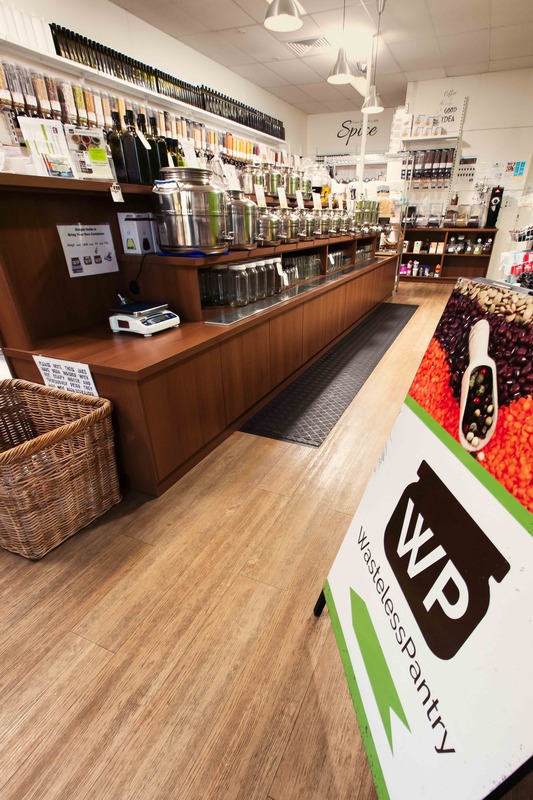 However, dig a little deeper and you’ll find that Wasteless Pantry is a unique store that was built entirely around this idea of being able to minimise waste and single-use plastics. We make it easy and achievable to reduce waste, you get to buy just what you need, and we enable you to turn waste reduction values into tangible actions. The rate of waste generation in the average household is growing rapidly and whilst many are alarmed by the statistics, the average person still feels that taking the actions required to reduce the figures is beyond their capabilities. Wasteless Pantry is an example of ‘the how’, providing education and role modelling of just how achievable it is to change behaviours in a sustainable way. As a business model, it is also demonstrating best practice in waste management in the food retail sector, creating just 1.39kg of landfill waste in May 2017. This is less than 0.5% of what the average Western Australian household creates each month. 100% of recyclable waste created by the store was recycled (much higher than the 47% average for food retail stores) and a range of recyclable waste from the community was also diverted from landfill. 95% of organic waste generated by the store was composted. The food retail sector in Australia produces on average 1660kg of landfill per effective full-time employee per year. Wasteless Pantry generates less than 1% of this average, including very few resources that could otherwise be recovered. What do you think? Are we are doing okay? Does it matter what waste we create? ‹ We need your feedback! Your Waste Authority submission is great! Full of solid info but essentially straight from the Heart … like you 🙂 Well done.